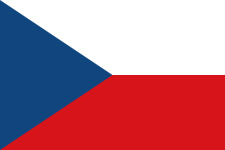 Prague is the main city where our server is located within the Czech Republic. Naturally it has excellent connectivity to all of Eastern Europe but still has low pings to the West and is still ideal for the Eastern parts of North America. Czech Republic has one of the best backbones found in Eastern Europe and generally has good routing throughout the whole world. It's also another location we suggest for the highest anonymity.